The Ugandan cultural group Ndere recently completed a very successful tour to Trinidad and Tobago as part of this country's Emancipation celebrations. 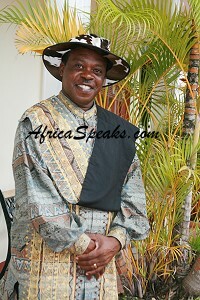 The term 'ndere' means flute, and this name appropriately captures the richness of the Ndere experience. The troupe was founded by Stephen Rwangyezi in 1984 to promote and develop African culture and arts, rekindle African pride, and to organize, develop and enable the artistically talented but socially disadvantaged young people to better their lives and realize their ambitions. Theirs is a mission to rekindle the sense of self, pride and confidence among Ugandans which were shattered by colonialism that branded every African cultural practice as evil, primitive, shameful, and backward. Since their genesis, Ndere has performed all around the world, and has built up an impressive orchestra made up of the most rare, unique and varied instruments that hitherto were played in isolation by different tribal musicians. 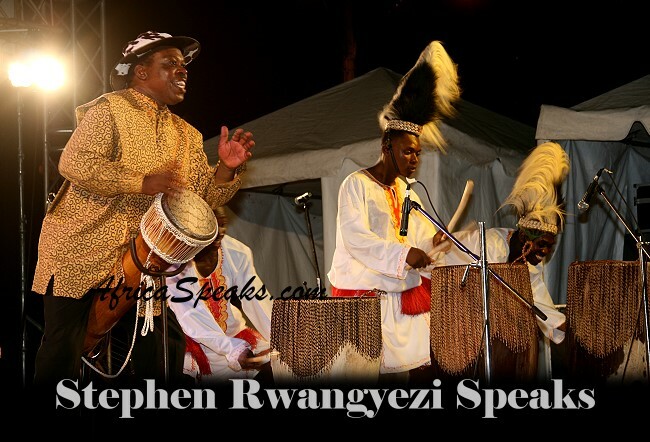 Their performances are powerful, rhythmic and engaging and involve various African indigenous instruments, dancing, and song, all woven together by the educating and entertaining narratives of master griot Stephen Rwangyezi. Their performances embody the rich legacy of the African oral traditions, the musical contribution of Africa to the world and the deep wisdom, history and indigenous values of Black Africans. In this interview, Stephen Rwangyezi shares his perspectives on a range of issues, including African/Ugandan culture, the contribution of the African ethos to world civilization, the debilitating effects of Slavery and Colonialism, and his visit to Trinidad and Tobago.